Years ago I spent some time in New York City and fell in love with playing pinball. A friend of mine also really enjoyed playing and we soon settled into a daily rhythm. My technique began to improve. My flipper control shifted up a notch. I scored more points. Multi-ball was no longer overwhelming! Great progress so far, that was…until I received a compliment. Yes a compliment! I noticed that each time my friend shouted out “great job!”or “good going!” instead of being encouraged or enjoying been seen; I froze: my responses slowed down, I missed easy moves, I became distracted by what “they” thought and most importantly, I stopped enjoying the game! My friend actually recognised this before I did and playfully used it to his competitive advantage, complimenting me just before I was about to score big. Each time I crashed and burned. The bigger the compliment, the bigger the fall-out. What was going on? 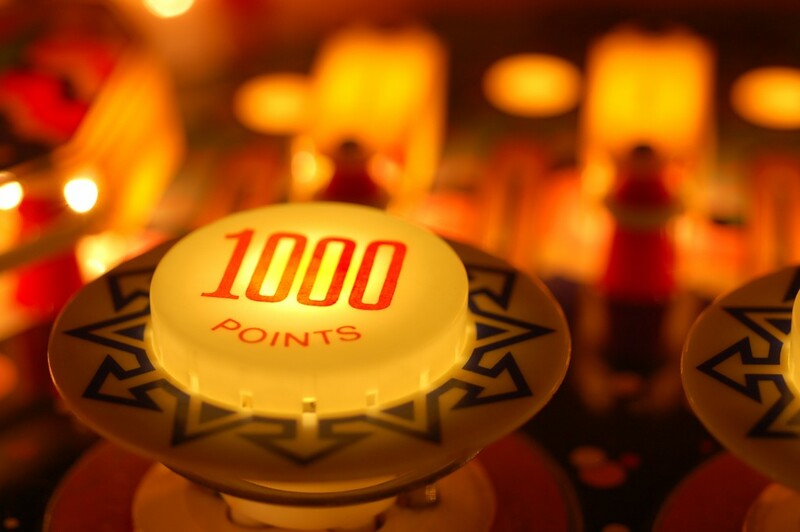 As a woman in my early twenties I was relaxing in NYC playing pinball with a friend, being complimented as I played, wasn’t this what I wanted: travel, fun, acknowledgement and praise? In those days I was used to feeling insecure and striving for approval, that when I got it, I was completely thrown. I longed for validation, yet couldn’t accept it. I dodged compliments like other people dodged bullets and when I did get them, they confused me so much I couldn’t stay steady. I was one conflicted pinball player! It took me some time to realise that this was a symptom of low self-esteem. We tend to think of low self-esteem as manifesting in simple terms such as feeling less than, staying stuck, and it IS those things… and it is also the pushing away of “good”. It warps and informs our perception of self, causing us to seriously underestimate or overestimate what we are capable of. A psychological study illustrates this well. A group of school children answered questionnaires which rated them on a scale of low to high self esteem. The children were then interviewed about their imagined expected careers as adults, given a bean bag and asked to estimate how far they could throw it. The results were fascinating. Not only were there the expected correlations between self esteem scores, the career they had opted for and the estimation of bean-bag throwing, i.e. low self esteem equalling a low expectation in their career e.g. bin man and a low estimation of how far they could throw the bean bag vs high self esteem equalling a high/realistic career expectation and a realistic estimation of the bean bag, but in addition the children with low self esteem were revealed to be wrong-sized in their expectations. Their imagined careers as well as being too-low and easily reachable, were too-far reaching and fantasy based, e.g. spaceman, brain surgeon, president. The bean bag estimations were also too little or too large, e.g. 2cm or 5 miles. They expected themselves to underperform or overperform. Too big or too small, they didn’t know their own size, their own place in the world. The children with high self esteem, conversely, were “right” sized. They chose achievable careers and realistic estimations for the bean bags. They knew themselves. This pendulum swinging between high and low is classic of low self esteem. As a mindset it means ignoring anything which contradicts the negative view of self. Things flowing and going well? Well that’s just a fluke! They’ll be back to “normal’ (i.e. worse off) tomorrow! Despite desperate fantasies of approval appearing appealing, actual real-life compliments are discounted against a backdrop of doubt. Stress and difficulty become default. Self-esteem therefore affects our “deservingness” as we don’t believe we deserve good. We each do. Back to pinball I deserved the acknowledgement and praise my friend was willing to give, but as it contradicted my low opinion of myself, I couldn’t absorb it. I had to contradict it right away with poor performance. Since then, thankfully, I have learnt a range of tools to build self esteem which I apply and share the essence of with clients all over the world. Self esteem, like any muscle, can be strengthened and (like, pinball) improves with daily practice. If you are someone or know someone who bats away compliments, is busy criticising themselves into a corner or is settling for struggle, please get in touch, I would love to help.